Conjugated linoleic acid also helps to improve cholesterol levels. Perhaps one of the biggest lure and benefits of supplementing Tonalin CLA is its effect on abdominal fat. After all, for most people, that's where the most fat accumulate, and we'd all love to get rid of our love handles. This is probably also the reason that despite all its other wonderful health enhancing properties, CLA is being sold as a diet pill and weight loss product. While we all know that being over-weight or obese can have dire consequences for our health, it's typically the aesthetic (appearance altering) effects of diet pills that provides the greatest incentives. 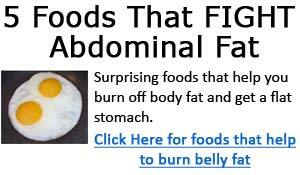 After all, who wouldn't want to get rid of the extra unsightly fat around their waist area? Now with certain studies finding Tonalin CLA to help reduce fat around the waist and leg area, it certainly makes it very appealing. Better yet, another fantastic benefit of CLA is that it can even prevent holiday weight gain! That right! You just heard it here, studies have even found conjugated linoleic acid to help prevent holiday weight gain. Research indicates that small, irreversible weight gain during holiday season contributes to weight problems in adulthood. In this study from the University of Wisconsin-Madison, 40 healthy and overweight subjects consumed either a placebo or 3.2g of CLA per day for a period of 6 months. The results of this study found that the placebo group had much greater weight gain during the holiday season compared to the CLA group. Furthermore, the CLA treated group had significantly reduced body fat, and there were no reported side effects of CLA. That's quite an interesting study. Next time the Christmas holidays come around, it may be beneficial to consider supplementing with some CLA some time in advance and through the holiday period. Despite what you might read else where saying CLA has no side effects and while this is mostly true, you should know that in the studies and research done on Tonalin CLA, there are some cases of upset stomach and diarrhea in some participants, however, very few. CLA is not a fat burner and you will not see immediate results. In fact, if you do not take body composition measurements, you may not see any "results" at all! Why's that? Because CLA helps promote fat loss and lean mass gains. This is why some studies had mentioned no apparent changes in weight were recorded, due to significant loss in body fat and gains in lean body mass. If you do take CLA, I suggest getting 3 measures ready: 1) a body fat caliper 2) a measuring tape, and 3) a scale. The RDA of CLA is around 2.5 to 5 grams per day, with most ranging in the 3 to 4 gram area. It's also important to note that with the many studies we looked at, most lasted for relatively long periods of time - typically 12 weeks (3 months) or longer. Some studies lasted 6 months, while others lasted for 1 year. So it might make some sense to continue to take conjugated linoleic acid supplements for 12 weeks or longer to see some definitive results and effects. 1. Int J Obes (Lond). 2007 Mar;31(3):481-7. Epub 2006 Aug 22. The role of conjugated linoleic acid in reducing body fat and preventing holiday weight gain. Watras AC, Buchholz AC, Close RN, Zhang Z, Schoeller DA. Dietary conjugated linoleic acid did not alter immune status in young healthy women. Kelley DS, Taylor PC, Rudolph IL, Benito P, Nelson GJ, Mackey BE, Erickson KL.